Following recent Flu outbreaks owners are required to ensure that all Flu vacs are up to date. Membership renewal forms must be completed and returned asap as racing to commence in West Cork on the 5th of May. IHRA Membership renewal forms are available on the IHRA website. The ITHRF AGM will be held shortly, details will be provided once confirmed. The ITHRF wish to extend their deepest sympathy to the Cleary Family, Ballydehob on the passing of their Mother Nora. ITHRF Annual General Meeting (AGM) 2019. ITHRF AGM: Date,time and venue to be confirmed shortly. All Motions and proposals are now been accepted for the AGM in writing and signed, to be sent to the ITHRF Secretary. 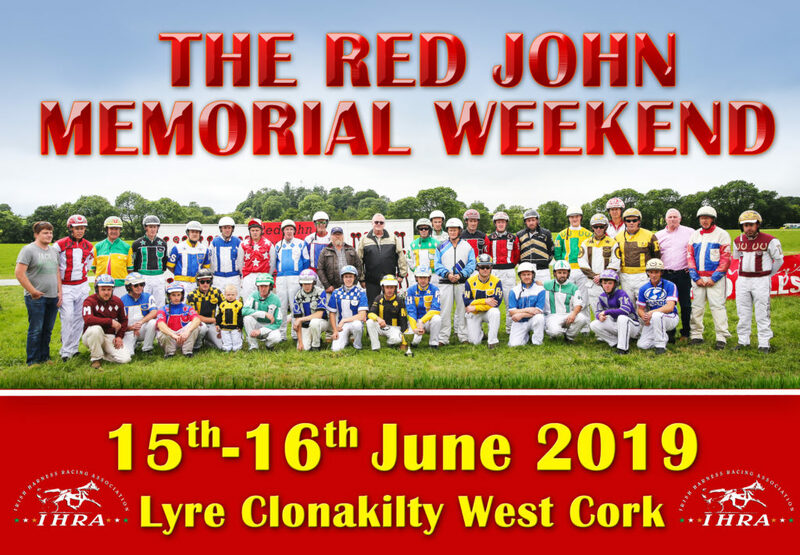 Red John Memorial nomination day extended for trotters. Good news for new and existing owners of trotters. Entry date is extended until 25th of February, to allow owners of newly imported trotters to consider their entry. Don’t forget nominations for pacers are due by the 14th of February. Drimoleague Road Trotting Races, Sunday 10th of February 2019. Entries are now available to view online. Online Entries are now open for Drimoleague Road Trotting Races, Sunday 10th of February 2019. Click on the Link to access the Road Trotting Online Entries Form. Entries close on Sunday Night the 3rd of February at 9pm. Coupe d’Europe des Amateurs 2019 - Driver Change. On Friday last, the IHRA received correspondence from Le Trot, stating that Jonathan Cowden drove as an Apprentice in Argentan last November and that should he compete in Saturday’s race, he would not be able to return to Apprentice status. The board of directors decided that it would be very unfair to nominate any of our young drivers into this race as it would hinder their future careers as they would not be able to compete in any future apprentice or professional race going forward. It was decided that the replacement driver for the race, should be a licensed driver, who has not competed in a professional race in France nor should it be a young IHRA apprentice. The board agreed that a grade A or B driver should represent the IHRA in the event. After some consideration, the board nominated Tadgh Murphy for the race. Thankfully, Tadgh has agreed to compete in the race, knowingly all of the possible future implications involved. Best of luck to Tadgh and his family who will travel to France this coming weekend. The Board would sincerely like to apologise to the entire Cowden family on nominating Jonathan in the first instance as this rule of racing was not initially pointed out prior to the close of nominations and would like to acknowledge Jonathan’s great success in such a short driving career and wish him well in any future competitions which he may represent the IHRA in. Goleen Road Trotting Races, Sunday 27th of January 2019. Entries are now available to view online. Online Entries are now open for Goleen Road Trotting Races, Sunday 27th of January 2019. Click on the Link to access the Road Trotting Online Entries Form. Entries close on Sunday Night the 20th of January at 9pm. Final Horse registrations for those competing at Goleen and Drimoleague must be in before Sunday the 20th of January. 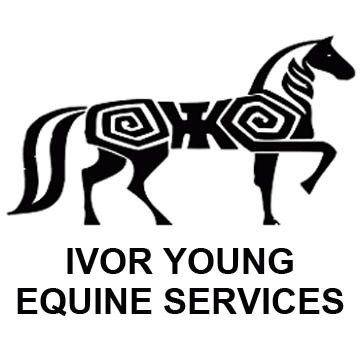 The Board of Directors of the IHRA would like to reassure all concerned that issues being raised on social media that there is some inherient agreement or policy in place with regards to the continued support for pacing races and breeding of pacers in Ireland are completely without foundation. The continuous feed of misinformation by non-members of the IHRA is damaging in the extreme and needs to be curtailed. In the last five years prize money for pacing races has increased year on year based on the number of horses in racing and total money on offer has more than doubled over that period of time. Unlike the Trotter Francais program it is difficult to envisage major improvements in the pacer sector without some external source of funding. The IHRA has completed a 5 year strategic plan which has been approved by the Department of Agriculture officials and is currently with the Minister for his consideration. This plan deals comprehensively with all aspects of the development on this industry including both Pacers & Trotters. The IHRA is approved by the Department of Agriculture as the passport issuing organisation for the Standardbred breed in Ireland since 2016 and to date has registered approximately 120 pacer foals born in 2016 and a further 120 born in 2017, whilst the 2018 figures are not yet complete there are no indications of any major changes for this period. The IHRA operates a separate Stud Book for Trotters and has registered 32 Trotter foals born in 2017 and a further 26 foals born in 2018. A concerted effort is being made by a small number of breeders to develop this sector and as we are starting from a low base there is room for major expansion, a successful racing industry has to be underpinned by a successful breeding industry. ITHRF Road & Field Racing 2018 Annual Awards Night Winners. Durrus Road Trotting Races, New Years Day, Tuesday 1st of January 2019. Entries are now available to view online. The ITHRF wish to extend their deepest sympathy to the Jennings Family, Leap on the passing of their Mother Jane. Reposing in St Fachtnas Cathedral Rosscarbery on Thursday 27th December from 4pm-6pm. Funeral Service Friday 28th December at 2pm, burial immediately afterwards to the adjoining cemetary. Final registration for owners, trainers, jockeys & horses. Entries for Durrus Road Races close on Sunday the 16th of December at 10pm. ITHRF Road Racing Season 2019 Fixtures. ITHRF Meeting, Tuesday, 23rd of October 2018. Agenda: 2019 Winter Road Racing Season, IHRA updates, A.O.B. All horse owners, Trainers, Jockeys, Committee members and interested parties are requested to attend. ITHRF Road Racing Season 2019 Registration Night, Friday, 5th of October 2018. ITHRF Road Racing Season 2019 Registration Night. It is vital that all horses for the 2019 season be now registered with €20 refundable deposit.